The MLS Reserves: MLS-USL Partnership on Hold? With all the excitement of the draft, talk about MLS-USL Pro partnership has been momentarily pushed to the backburner. More details on the exact nature and specifics of the relationship should come out as time goes on and while many of the potential benefits have already been discussed, there may be another way MLS’ partnership with a lower division will help to grow the game. “The Pumas still have the goal to play in the USL Pro and this could be great for us. The problem has always been having few teams on the west coast. Joining before would have meant constant trips to the east coast. So anything that could create an avenue for the Pumas to play at a higher level would be great." One of the potential issues and a main talking point with the MLS-USL Pro partnership has been what to do with MLS squads that don’t have USL Pro teams nearby (a.k.a. the entire Western Conference). 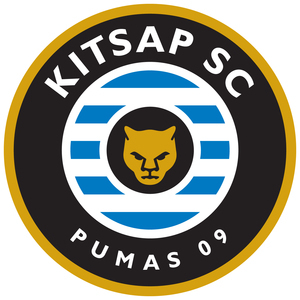 But if teams like the Pumas were willing to move up a level and join the USL Pro, it would be a very attractive solution. It would expand the USL Pro while simultaneously cutting down on travel costs for teams with already tight budgets. Instead of having to travel to the east coast for the majority of games, teams like the Los Angeles Blues, Phoenix FC and, in 2014, Sacramento would have much lighter travel schedules. This would also mean turning professional would be finically viable for teams like the Pumas. It’s great to see smaller clubs aspiring to play at a higher level and an MLS-USL Pro partnership will only help those clubs achieve those aspirations. Growing the game is a goal of every soccer fan in this country and giving teams like the Pumas an avenue to improve will only result in growth. After all, the key to a healthy top division is a strong pyramid all the way down.